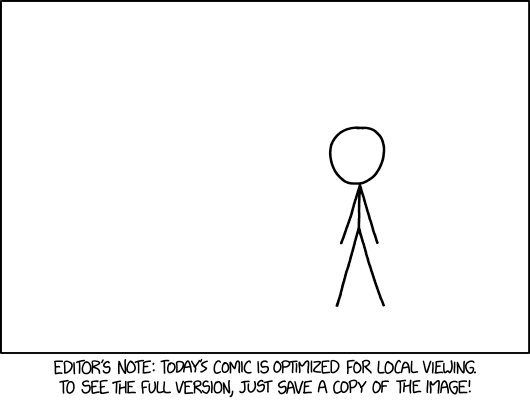 title text: "Right-click or long press (where supported) to save!" I found the c-remover to be way funnier than it should be. 1940: "The Food Size Cycle"
title: Every year I make out my bracket at the season, and every year it's busted before the first game when I find out which teams are playing. Well, OK, some sort of championship with the usual 2^n teams. Huh? There is a final state, when the controls disappear and the content stops changing.